The Administrative Assistant is required over the four months of the Spring and Summer Employment Period and acts as a general assistant for various administrative duties at HOC. During the spring, the Admin Assistant works closely with the Administrative Director in the office, helping with general registration and preparation for summer. During the summer, the Admin Assistant continues to help with registration but also takes on the role of Parent Rep (PR), and various additional summer administrative tasks. Specifically, the Parent Rep responsibilities involve working cooperatively amongst members of the Senior Staff Team as the leading point of contact with campers, their parents, and HOC staff. The PR is responsible for the initial contact of all first-time campers and their parents within the 48 hrs of camp through email or phone, and they may also be asked to step in on serious camper issues and other camper satisfaction-related issues as they arise through the summer. The PR work closely with all staff teams to ensure camper health and well-being while at HOC. This combined role is a designated office position, with increased camper and staff interaction throughout the summer months. Be available in the office to answer phone calls, respond to emails, etc. Assist with the registration of campers. Assist with general administrative tasks to help prepare for summer. Communicate with summer staff prior to Orientation Week. Participate in the June Family Day Open House. Assist the Administrative Director with weekly tasks as required. Assist the Program & Counselling Directors with weekly administrative tasks as required. Be available to assist Camp Directors as required or when schedule allows. Assist with all aspects of camper registration, check-ins, and check-outs when required. Assume the responsibility of Parent Communications Representative. Be the main source of communication between parents and campers when campers are at camp. 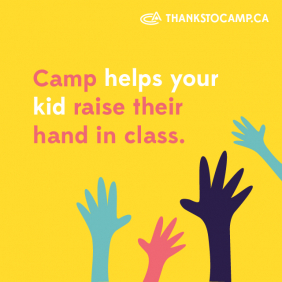 Support the execution of the First 48 HR Program ensuring an email is sent/call made to parents of first-time campers during their first 48 hours at camp. Manage and proactively resolve parent inquiries & requests ensuring efficient and timely response to email and telephone enquiries on a daily basis. Work directly with Section Heads / Counselling Director to facilitate camper communication. Facilitate the management of all Lost & Found items. Complete weekly Sr Staff Duties as scheduled (office shift, coaches corner, nightly rounds, etc), approx 2-4 times per week as required. The Admin Assistant can expect between 8-10 hrs of scheduled duties daily not including other duties as assigned based on program needs. Completed at least one year of a relevant post-secondary school program. Recommended minimum of Bronze Cross or NLS swimming qualification (but not required). Currently holding minimum Emergency First Aid & CPR certificate. Experience working with children of varied ages (specific camp experience an asset). Exceptional communication skills – verbal and written. Highly organized and independent worker. Ability to work well with all levels of employees and guests.